OWNER has REDUCED $6,000 Bay Facing!! Serene views of the Choctawhatchee Bay from large balcony this lock-off resort home in Bahia grossed over $48,500 in 2018. 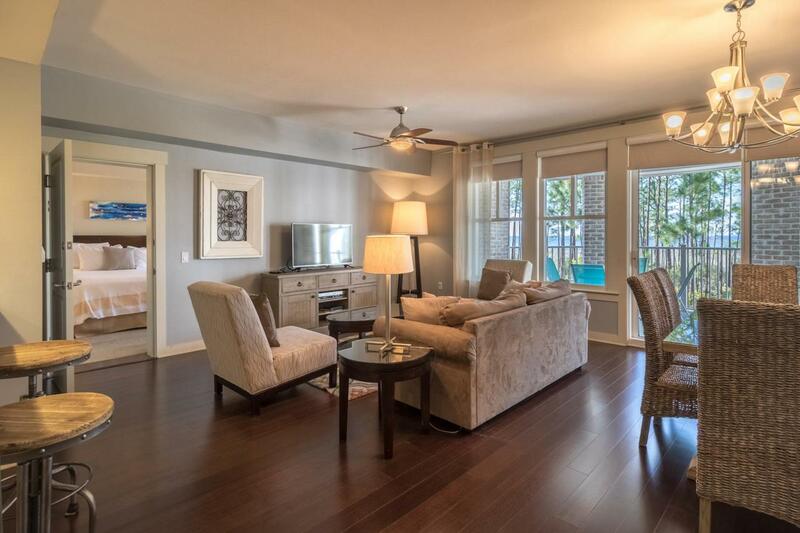 ''A'' rated on Sandestin's rental program,You will find updates throughout with neutral color decor and new floors in the main area that let the light in from the many windows. Coveted THREE full baths, and can be rented multiple ways: a 2 bedroom, or a 1 bedroom and/or studio. Bahia is located within The Grand Complex, adjacent to The Village of Baytowne Wharf and all the fun and entertainment it offers. Enjoy access to the resort-style pool amenity area and private Solstice Club.